Big Mahalos to T&C for supporting photographer and model from legendary Hawaiian family! Surf News Network, 21 March, 2015. Ha ‘a Keaulana—daughter of waterman Brian Keaulana and granddaughter of legendary surfer Buffalo Keaulana—has joined T&C Surf as their newest ambassador. Ha ‘a is at home in the blue waters of her home beach in Makaha, Hawaii. Born and raised on the West Side, she was brought up around the ocean and learned to surf, swim and dive at a very early age. When she ‘s not frolicking in the ocean, posing as a bikini model or working as a stunt-girl, Ha ‘a is shooting amazing images. Photography has become her passion where she can document her love for the ocean. Her grandfather, Buffalo was one of the first team riders for T&C Surf and has shared many stories with Ha ‘a through the years. 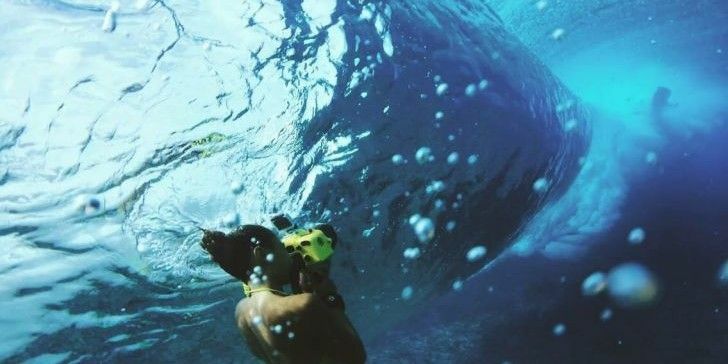 Growing up in a similar way of life, Ha ‘a is able to relate to the proud memories and passion her grandfather has had to this day with the Hawaiian and surfing culture. “I’m stoked to represent a brand that pretty much shares the same values and lifestyle that I was raised on,” says Ha’a of T&C Surf. Family is of course something she can’t live without. She credits her embodiment of the aloha spirit to her grandparents. She tries her best to live up to the values they have portrayed over the years.